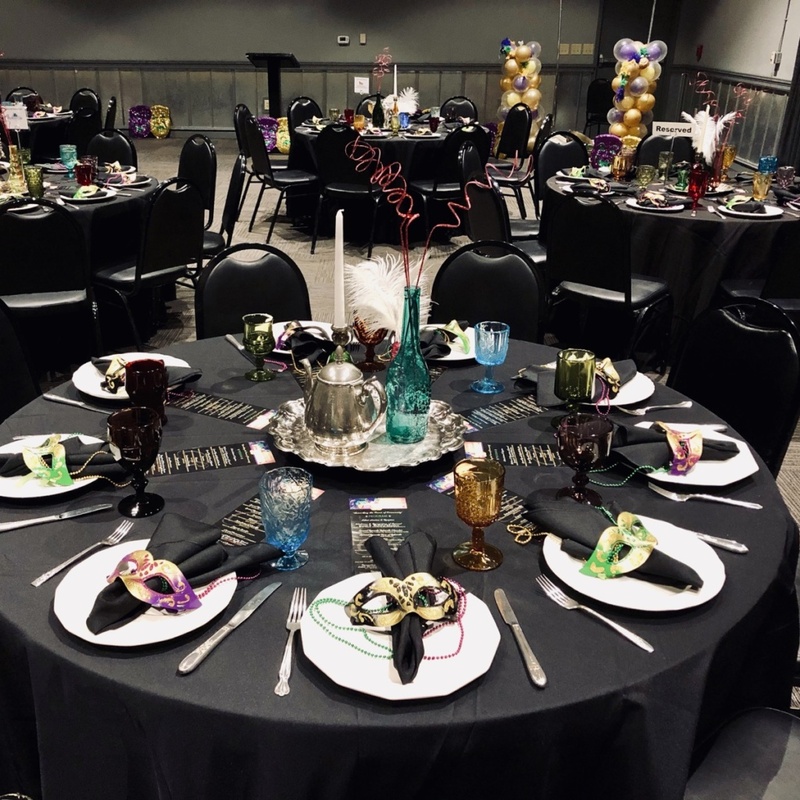 Southern Vintage Table Event – Rolesville’s Chamber Goes Mardi Gras! What occurs every March, brings folks from the community together, and is always delightful? Yep, you are correct! 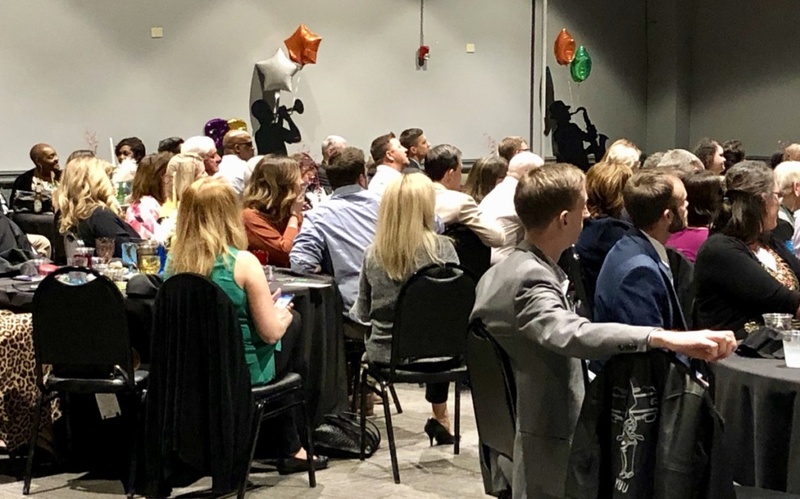 It’s the annual Rolesville’s Chamber of Commerce Awards and Recognition Dinner! 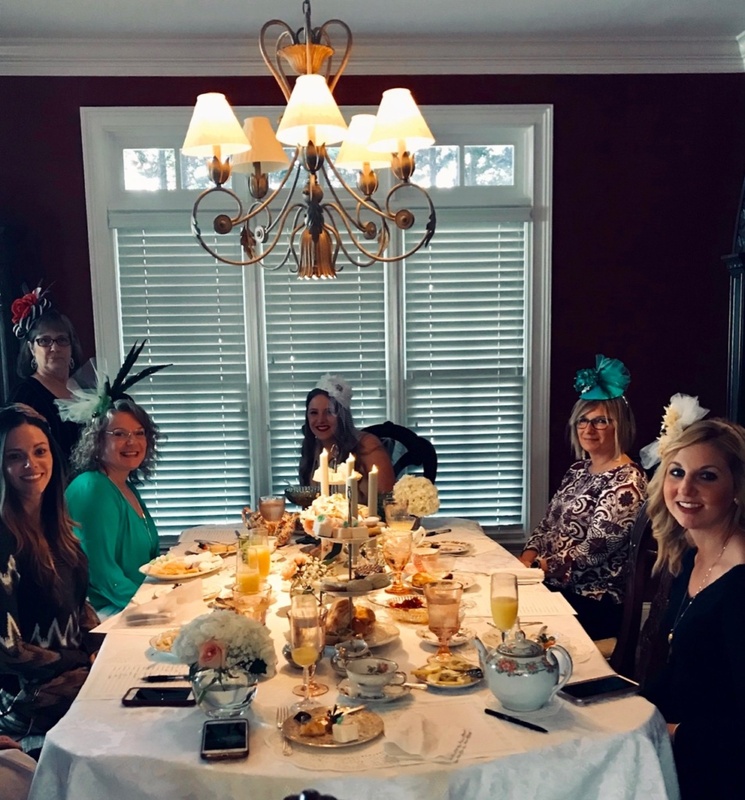 We love helping with this grand affair for so many reasons. 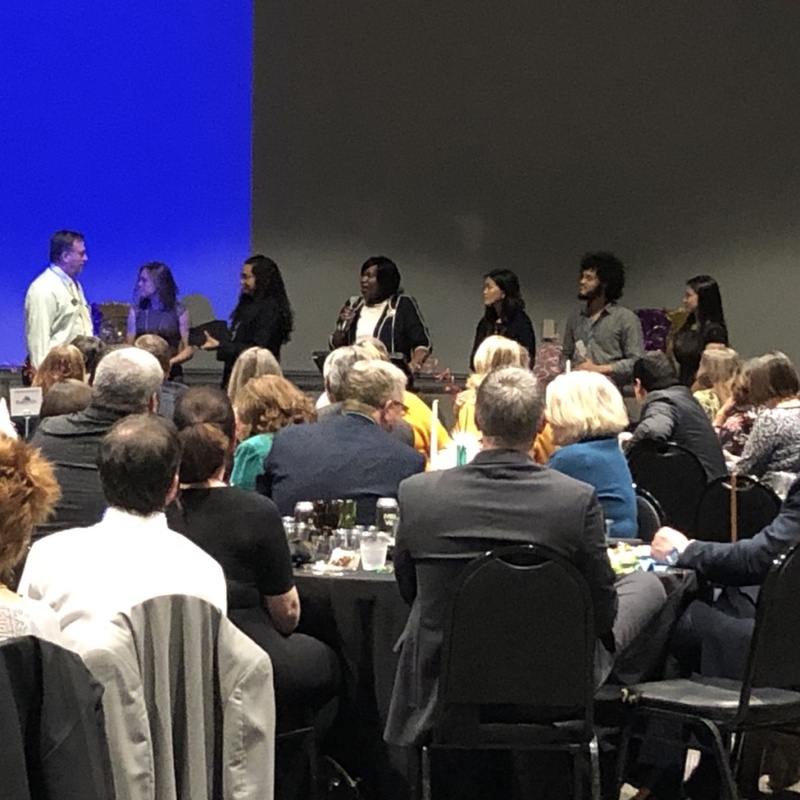 One reason is these business leaders are incredibly gracious and, second, they really enjoy creating a fun, unique celebration for their members. 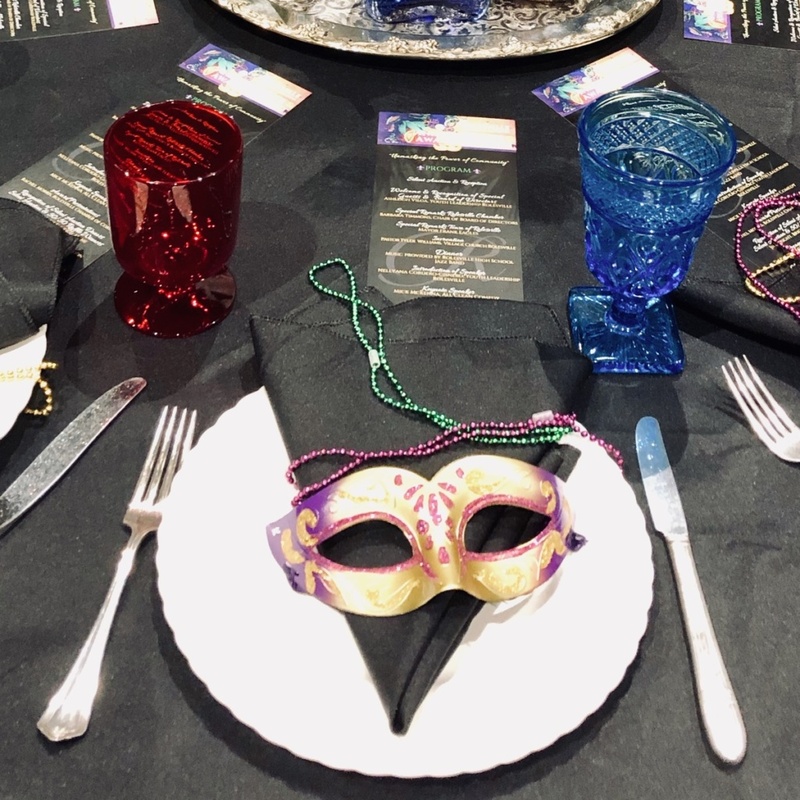 This year’s theme, Mardi Gras, cleverly fit their mantra for the year, “Unmasking the Power of Community.” How cool is that? 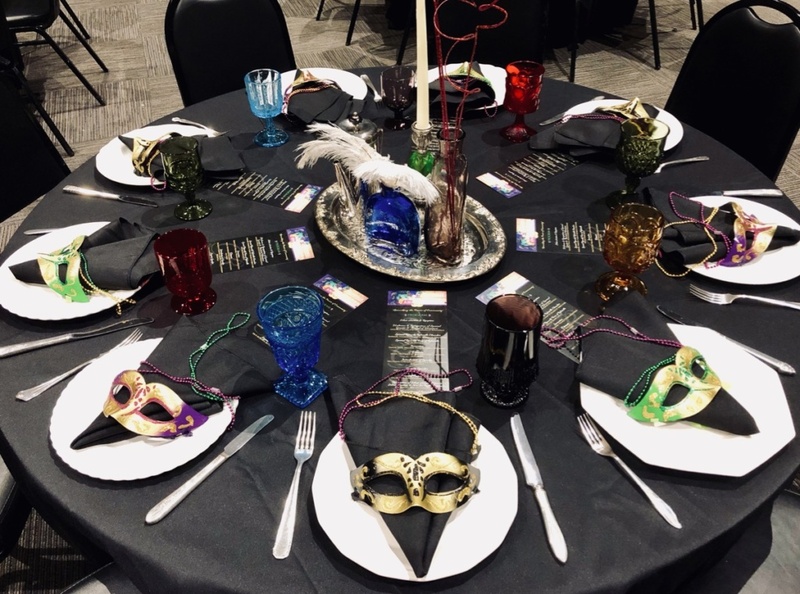 The table design was created by members of the chamber, led by Executive Director Rachel Morris, and we happily helped them execute their flawless plan. 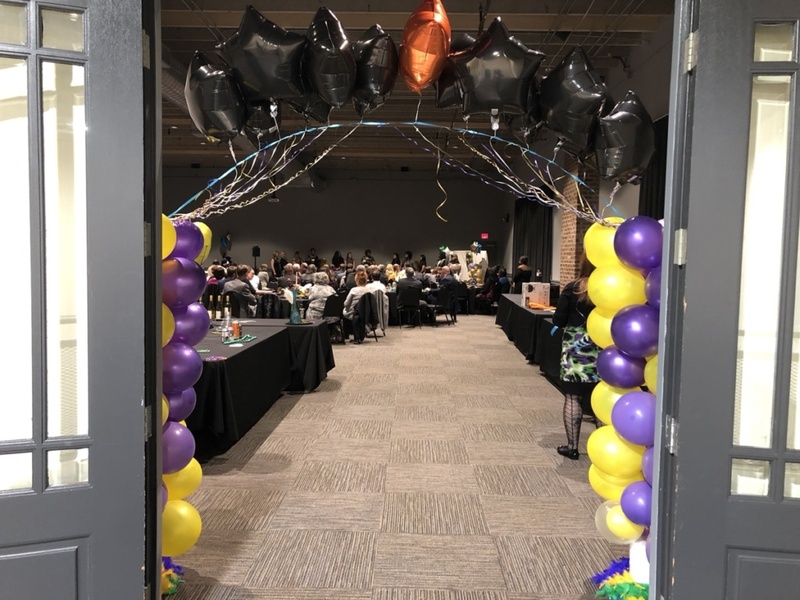 The final result was colorful, fun, and inviting – a wonderful fit for the exceptional leaders of the Rolesville community! Thank you, Rolesville COC, for inviting us again to help with this festive affair! It’s always a pleasure! 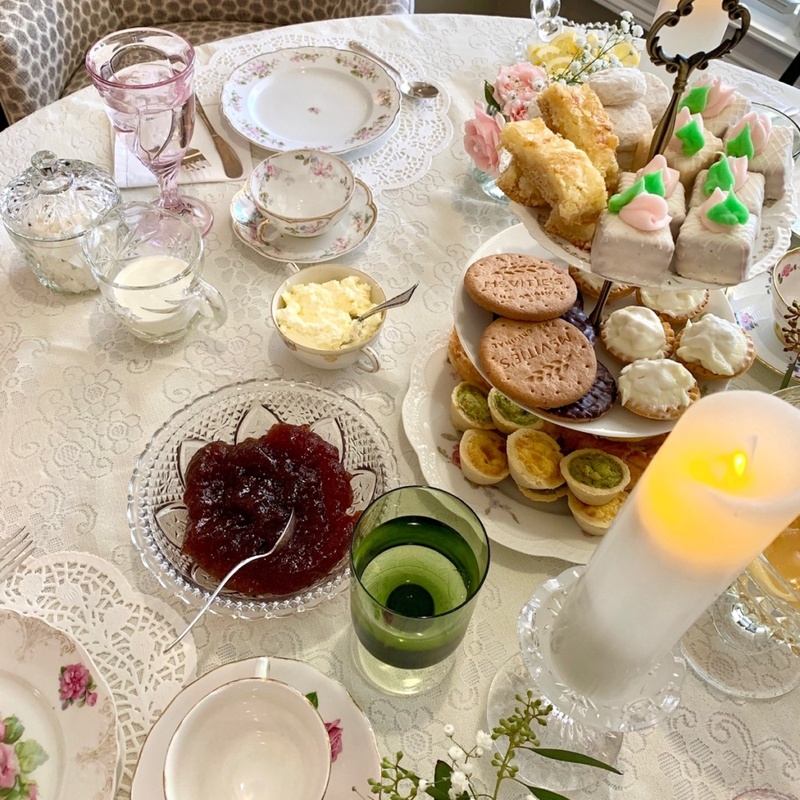 Southern Vintage Table Event – A “Fascinator” Vintage Tea Party! 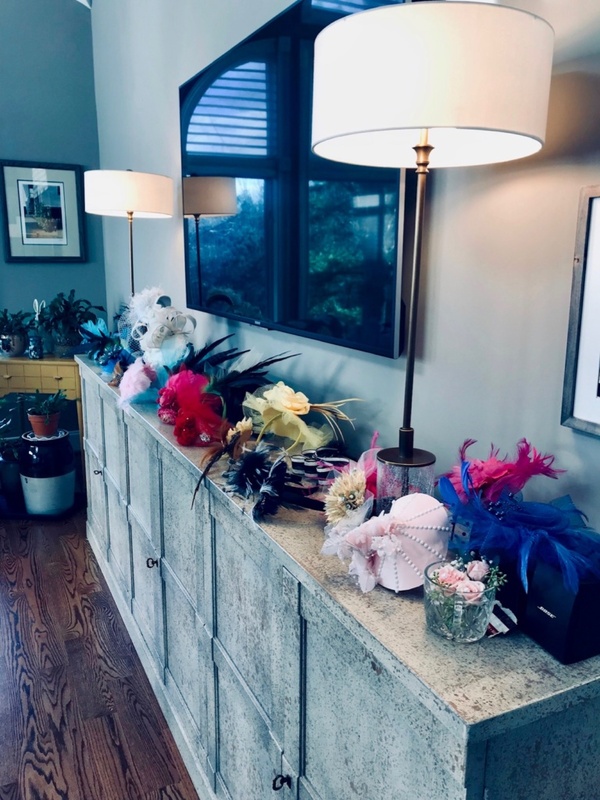 Bridal tea parties are wonderful celebrations but when custom-made fascinators are added, an incredible experience is awaiting your guests! 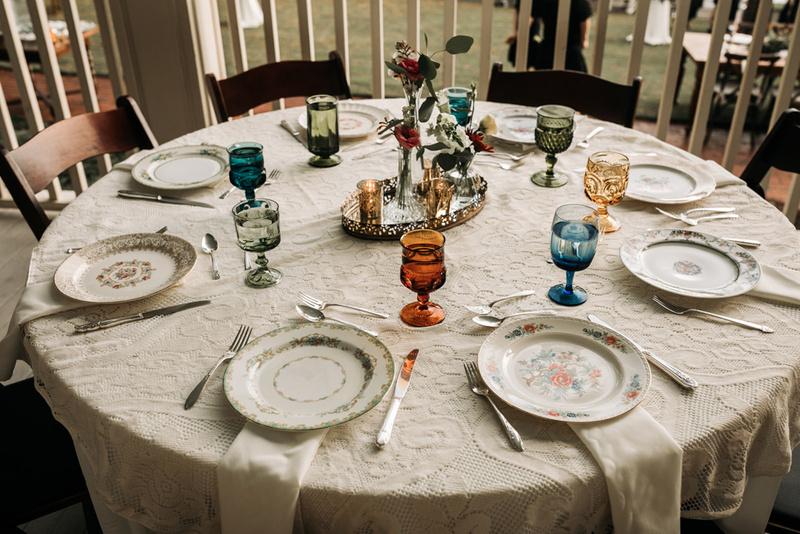 Hosts Anita and Bev planned this shower for their nephew’s fiancé, Cambridge, and we were very pleased to provide the vintage table settings and serving pieces. 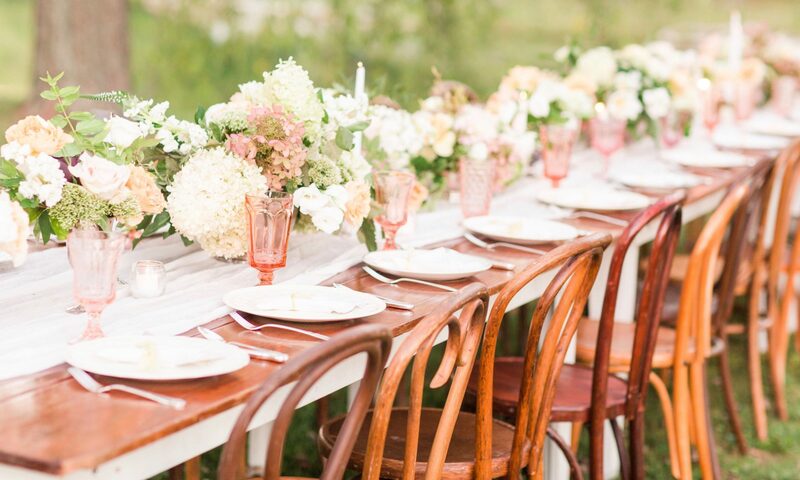 Aren’t their tables beautiful? Upon our delivery the day before, Anita showed us her amazing creations. 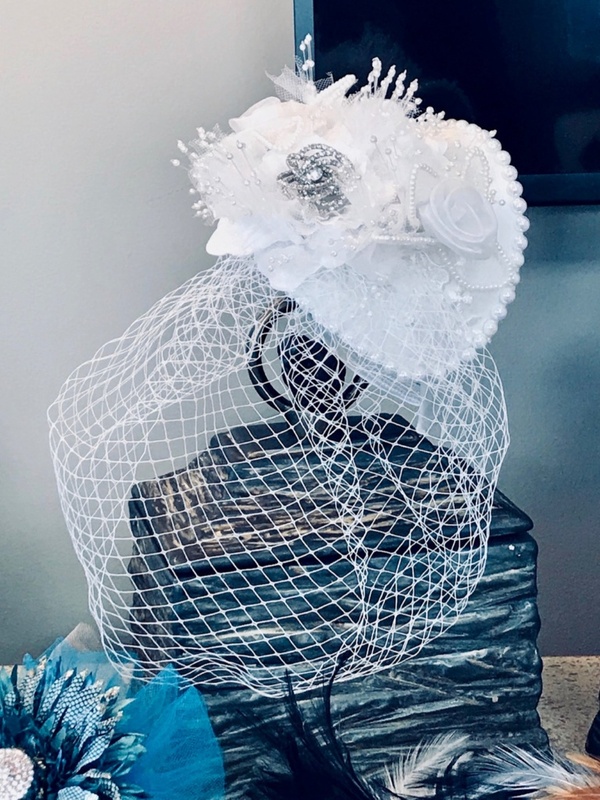 Each custom-made fascinator was beautifully crafted and more fabulous than the next. 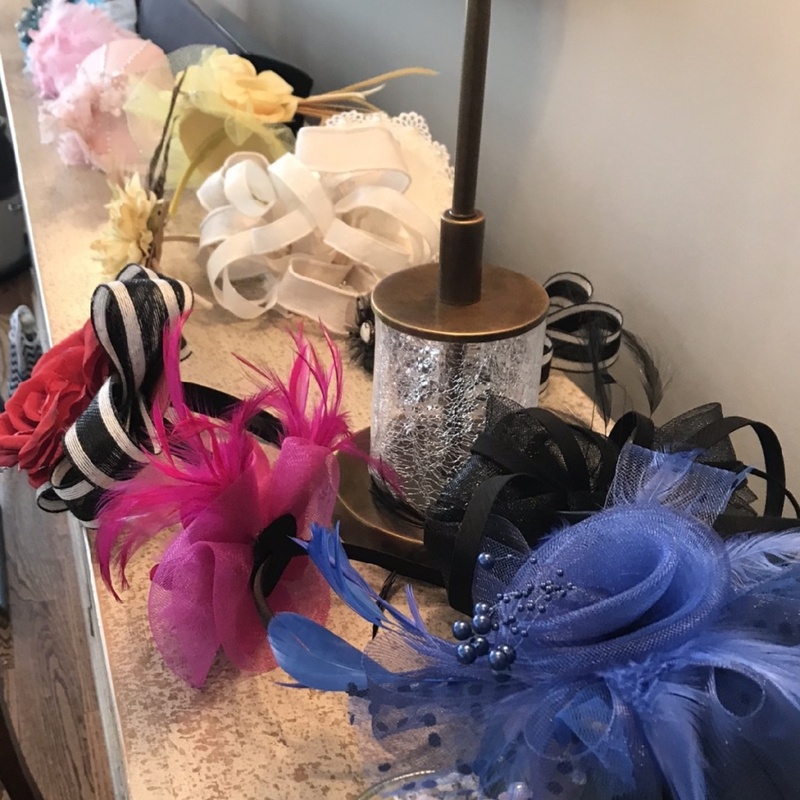 For most of them, she used headbands as the base and then embellished with feathers, tulle, ribbons, flowers, and even vintage family lapel pins. 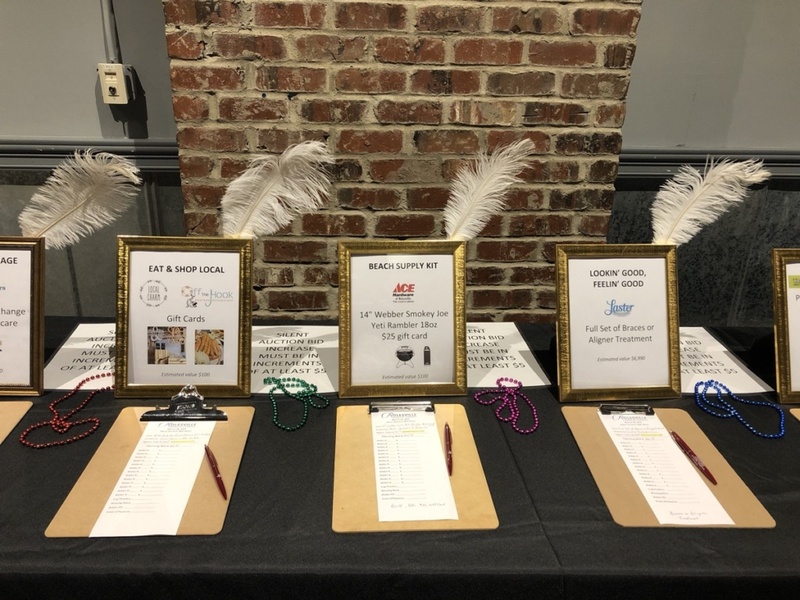 Of course, their guests loved seeing them all on display and then getting to choose their own! 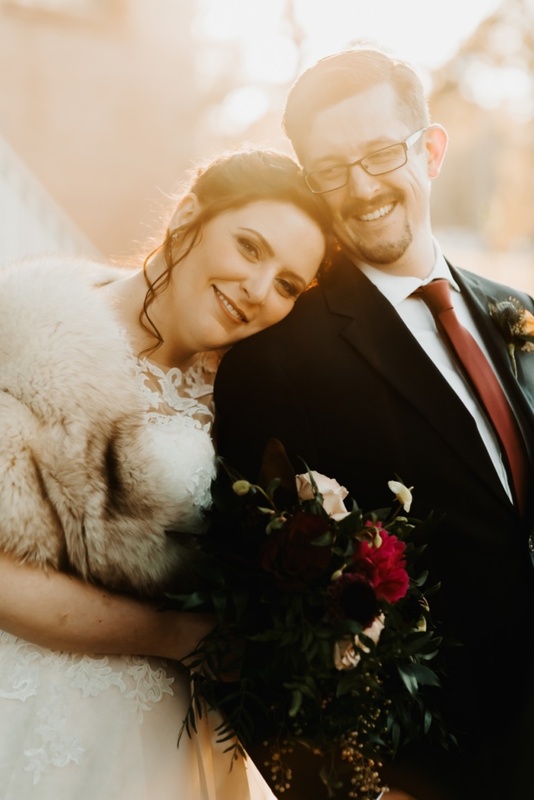 Thanks so much, Anita and Bev, for inviting us to help with this lovely and happy affair! We are so intrigued by these cheery headdresses, we may try our hand at fashioning one or two for ourselves! 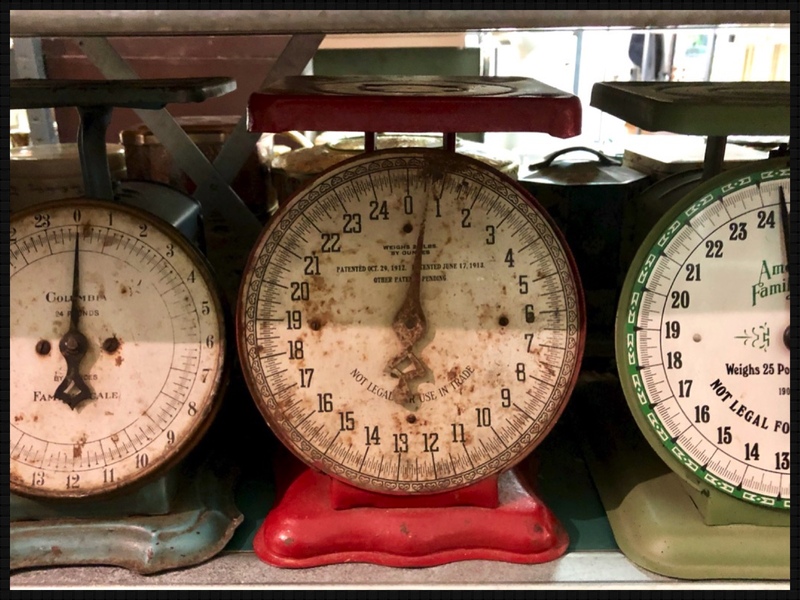 PS – Photos were shared by guests to an iCloud album and Bev shared them with us. What an ingenious way to capture an event from everyone’s perspective! 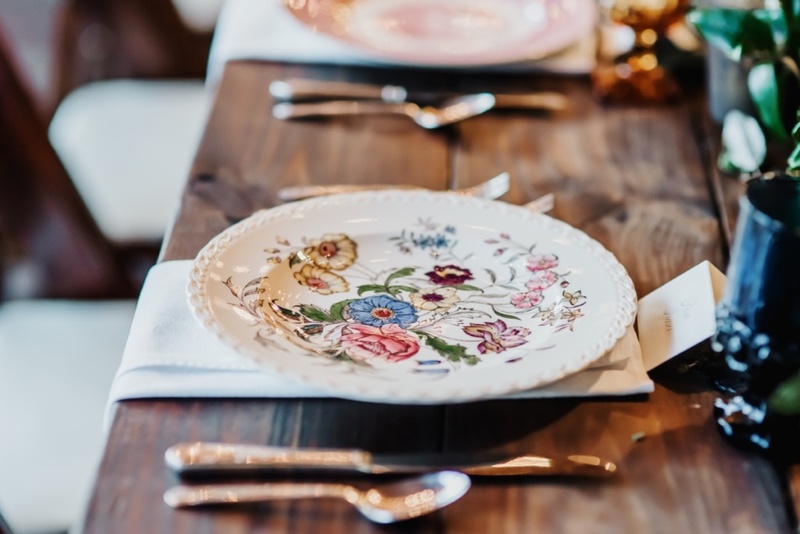 As today’s blog will attest, the different styles from our vintage tableware collection can perfectly fit your wedding vision. 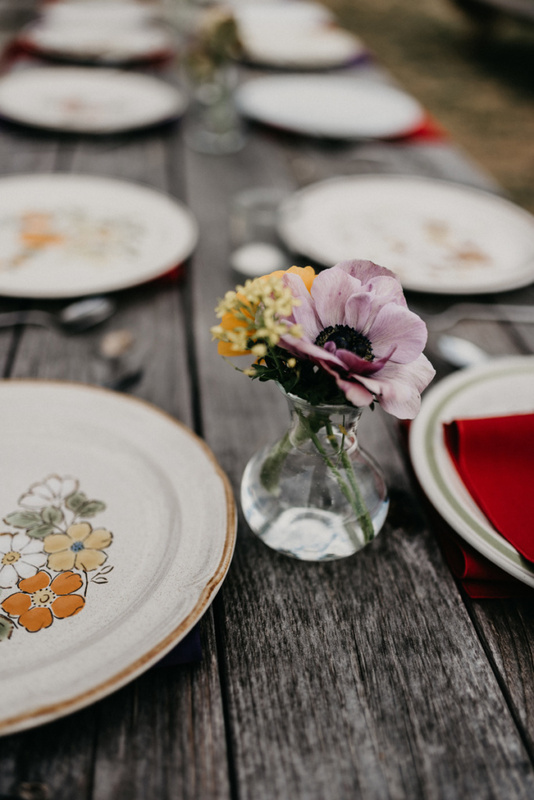 For Kelly and Kent’s free spirit, Bohemian wedding, our vintage wildflower stoneware, stainless flatware, and punch cups were the ticket! 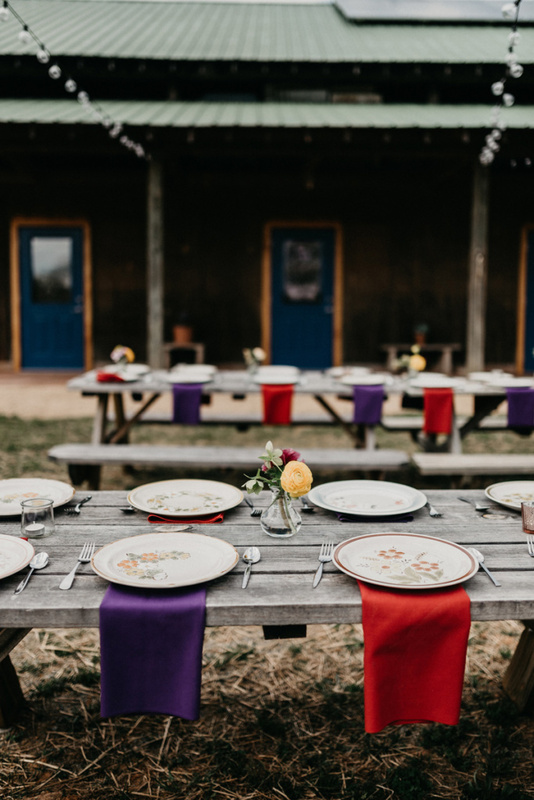 Samantha Floyd‘s photos show us their beautiful, colorful wedding in all its splendor and beauty and, with design expertise from Folie à Deux Events, this wedding celebration befitted their personalities and spirituality. 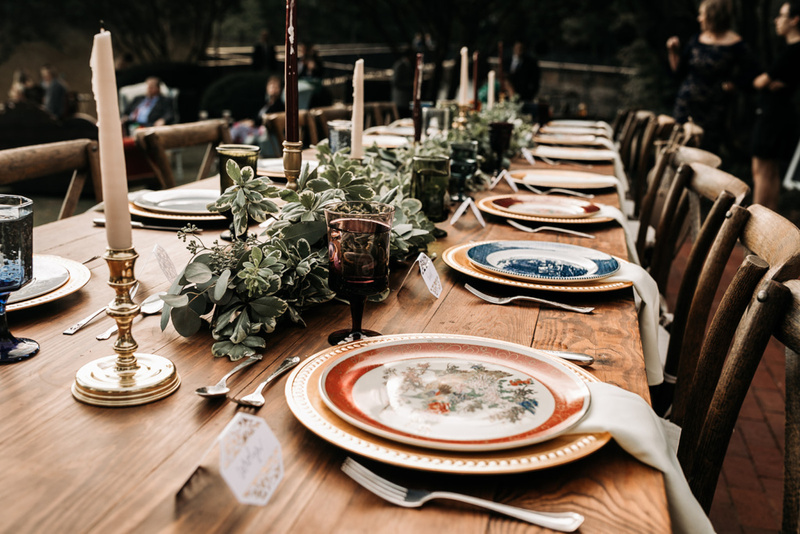 Thank you, Kelly & Kent, as well as Erica of Folie à Deux Events, for inviting us to share our vintage inventory for this amazing wedding celebration. Best wishes for an extraordinary life of love and beauty together! 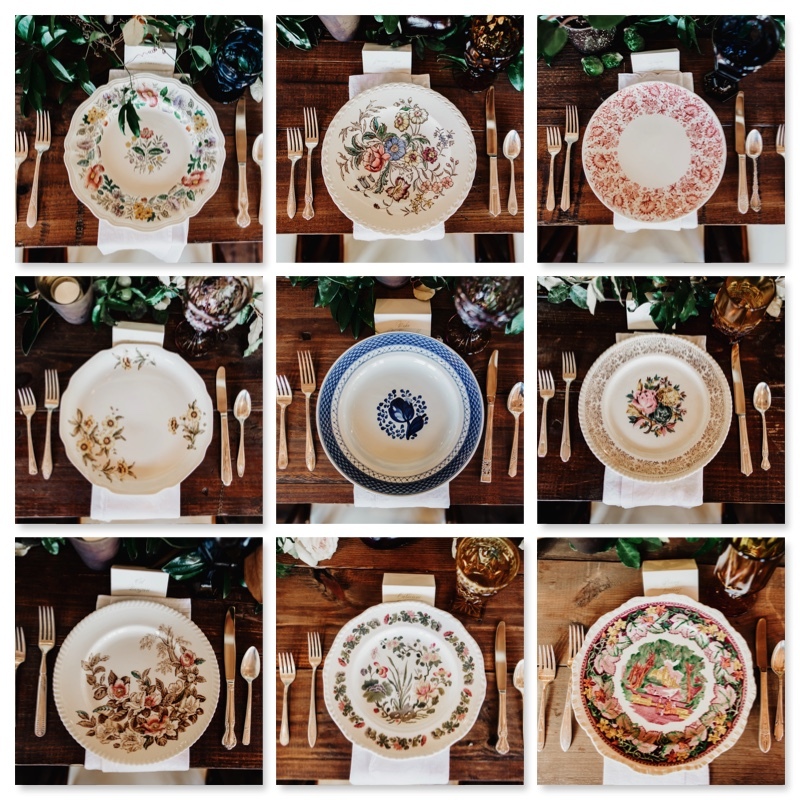 For the in-depth description and full photo album from this joyous wedding, please visit Folie à Deux Events‘ blog post which also included this full vendor list. 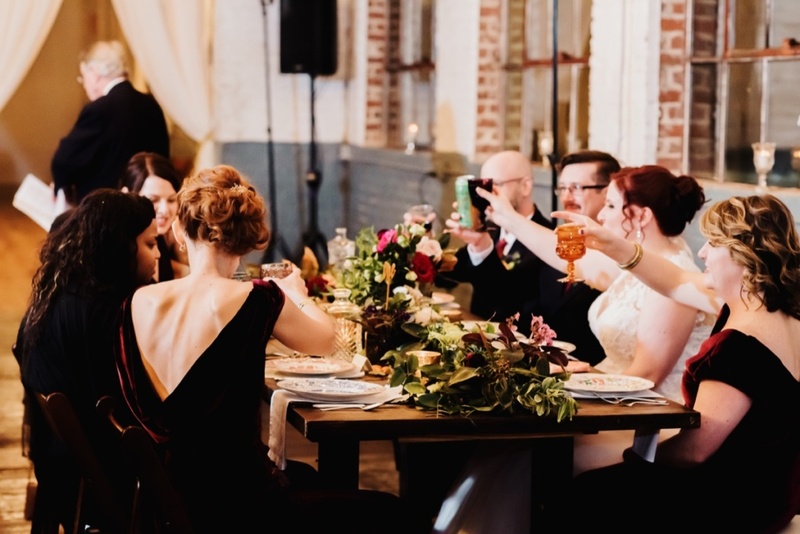 JP Pratt’s photos are in and he captured this most exquisite affair, Casey and Alex’s wedding and reception. 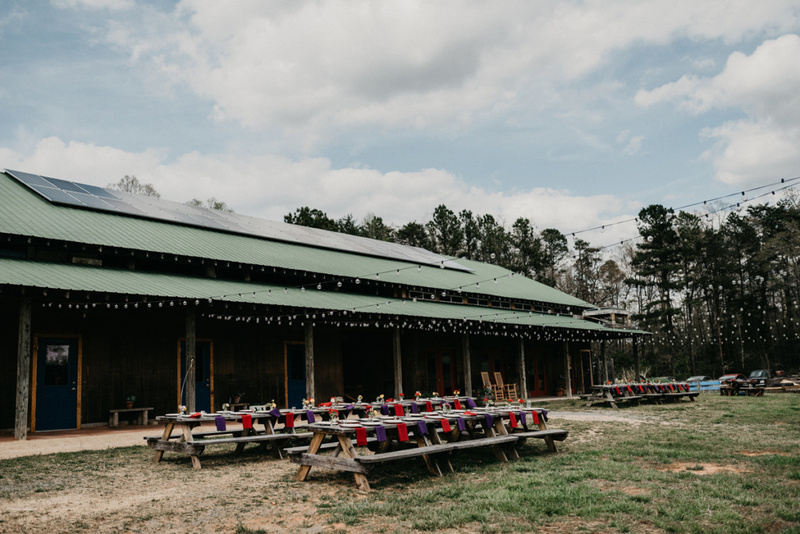 We featured a few of our own photos in a previous post, First Look at Casey & Alex’s Elegant Reception, but these are the real deal and they are awesome! 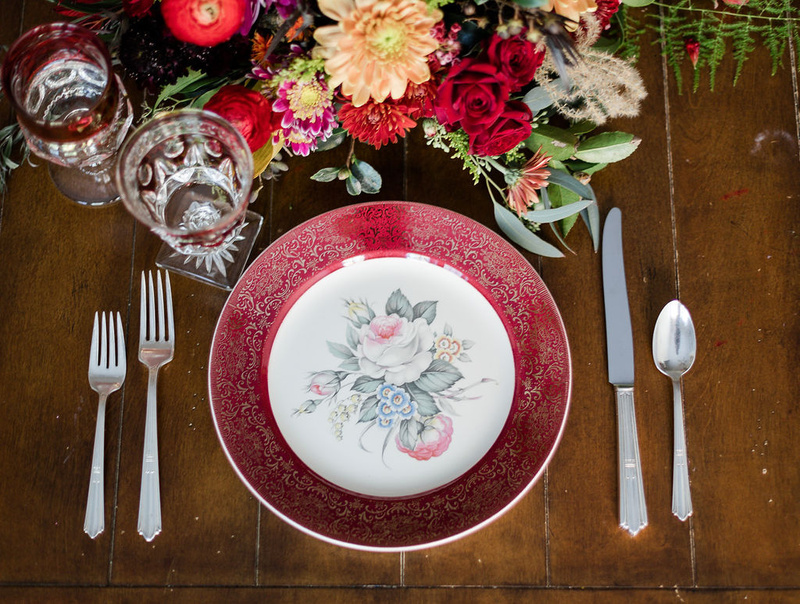 As with most weddings, many different vendors provided wares for this beautiful wedding. 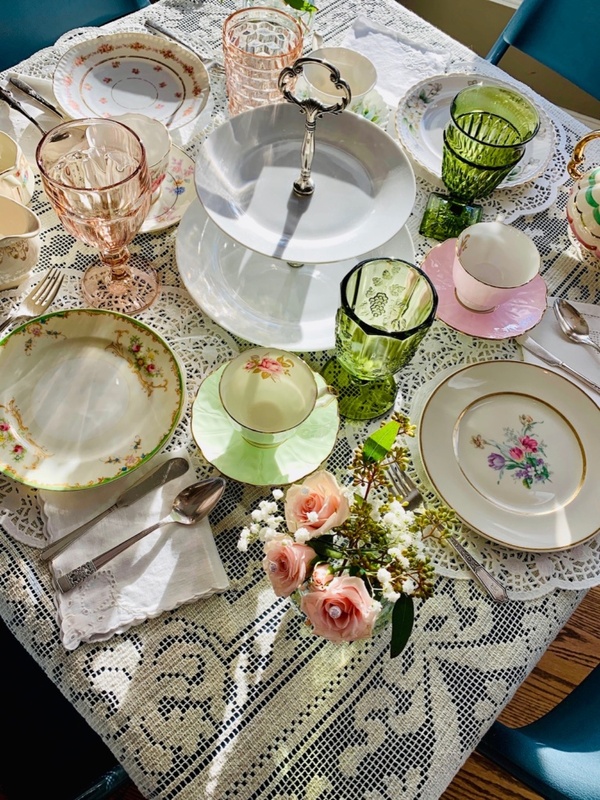 Our offerings included vintage mixed and matched silver-plate flatware, pink and clear water goblets, and signs. 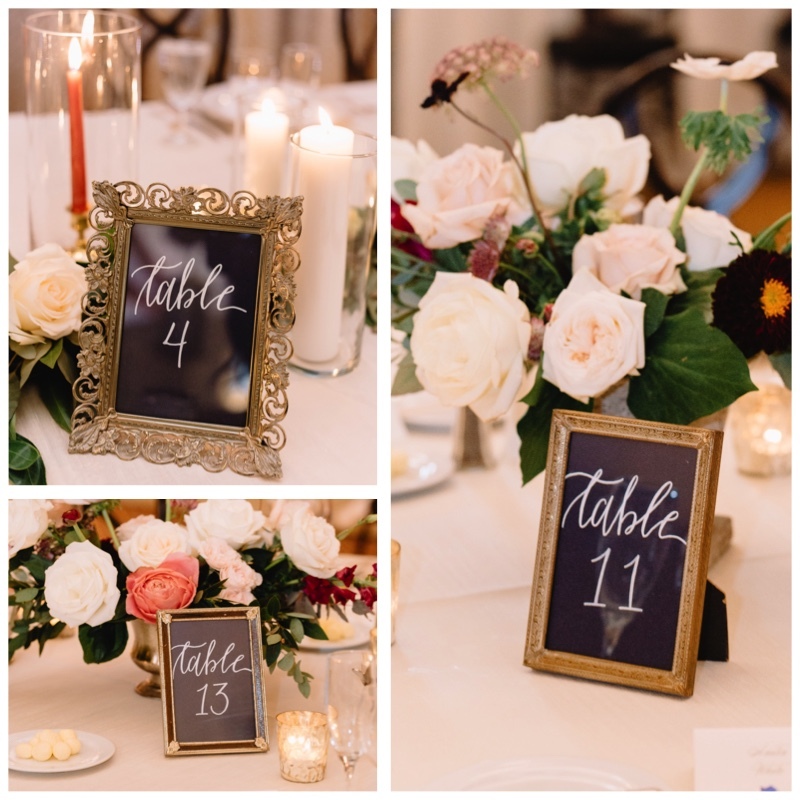 We also provided a lovely collection of vintage floral dessert plates as well as the vintage-framed table numbers. Don’t you love the handwritten cards of photographer Annie Watts, gifted by another sweet bride? We sure do! 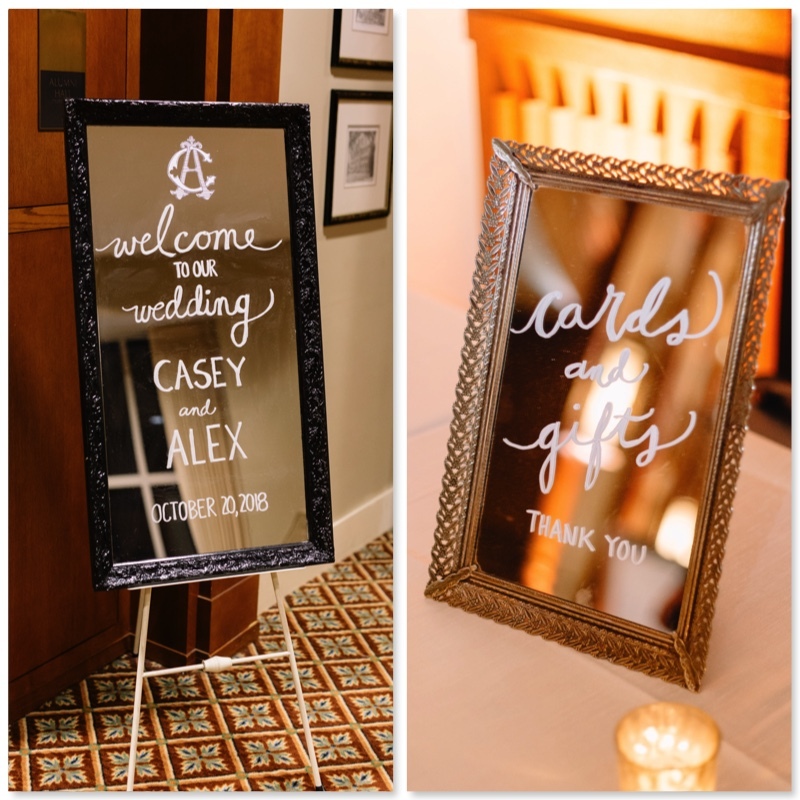 Thank you, Casey and Alex, for inviting us to be a part of this beautiful, joy-filled wedding! 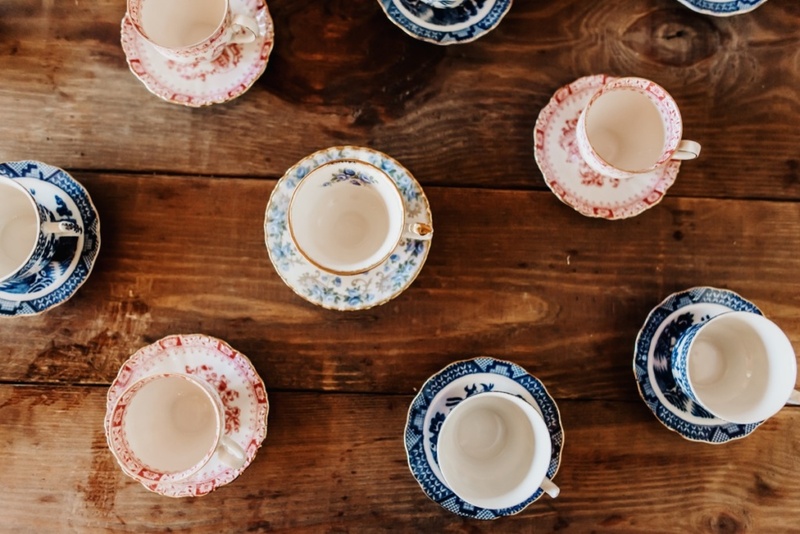 We loved it all, down to the smallest detail, and we were delighted to be a Yaya guest. Wishing you a lifetime of happiness, love, and fun! 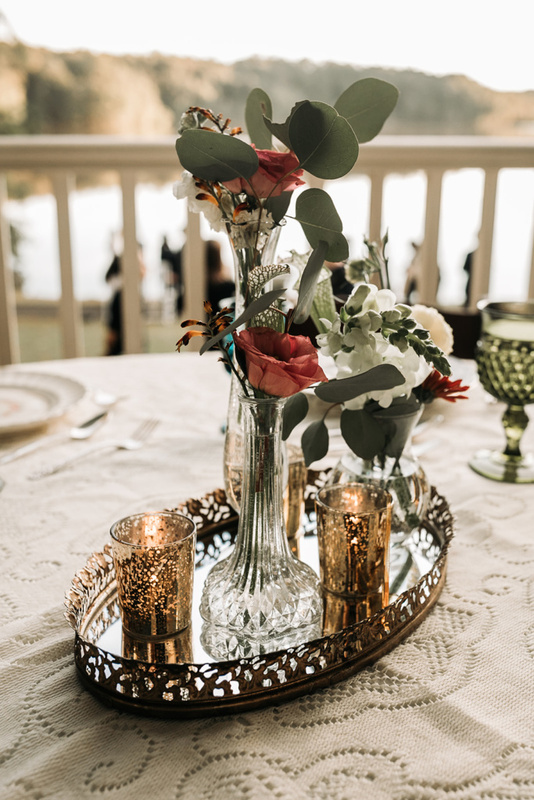 Collaborating with vendors to create gorgeousness is one of our favorite parts of working in the event and wedding industry. 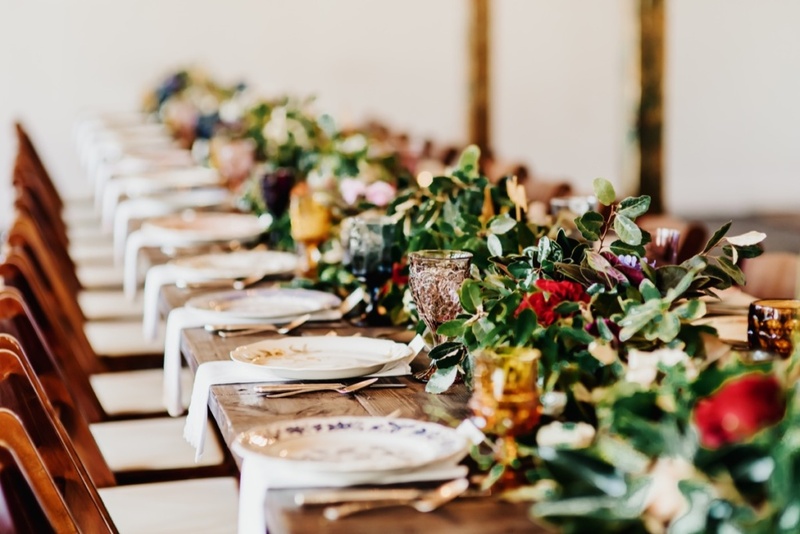 Most of the time we are focused on bringing our client’s dream event to fruition, but when we work together on a styled shoot, creativity is wide open. From inception to finality, the cadre of professionals bring their skills and products to the themed shoot. 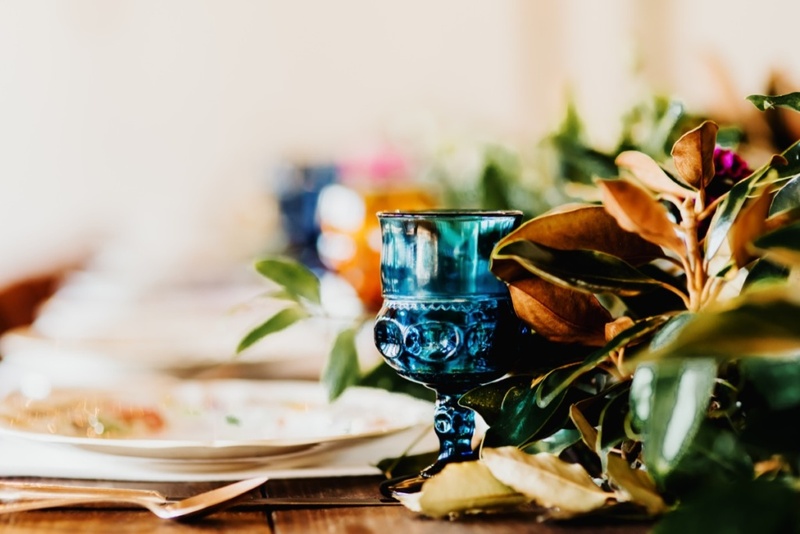 Sometimes the theme may be like a fairy tale such as a wedding in the style of The Game of Thrones, or it may be a more authentic setting like a fall-themed wedding and reception. Both styles are designed to showcase wares and talents of the professional team and very rewarding to all. 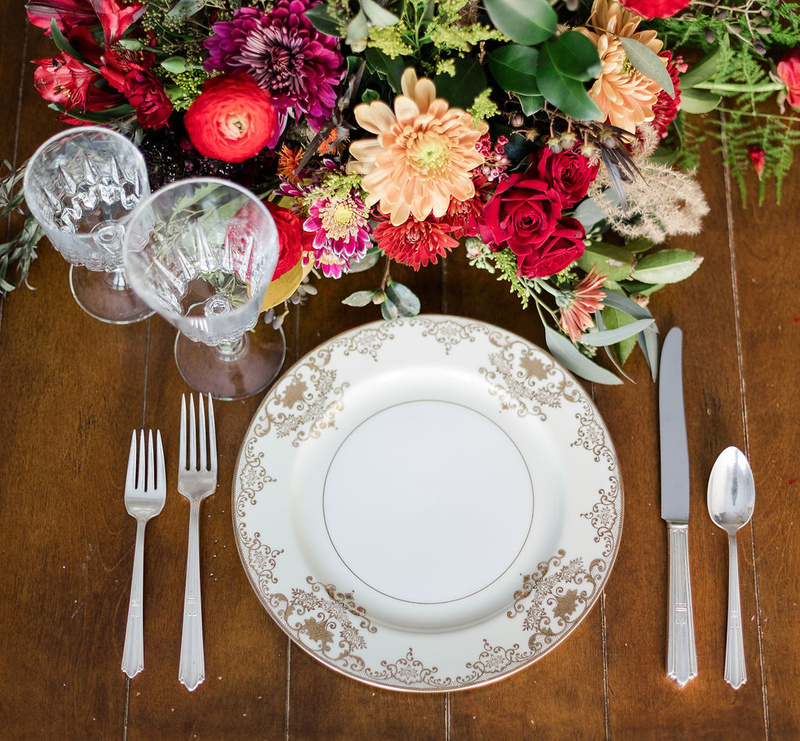 For this photo shoot, winter’s rich hues amid elegance was the theme. 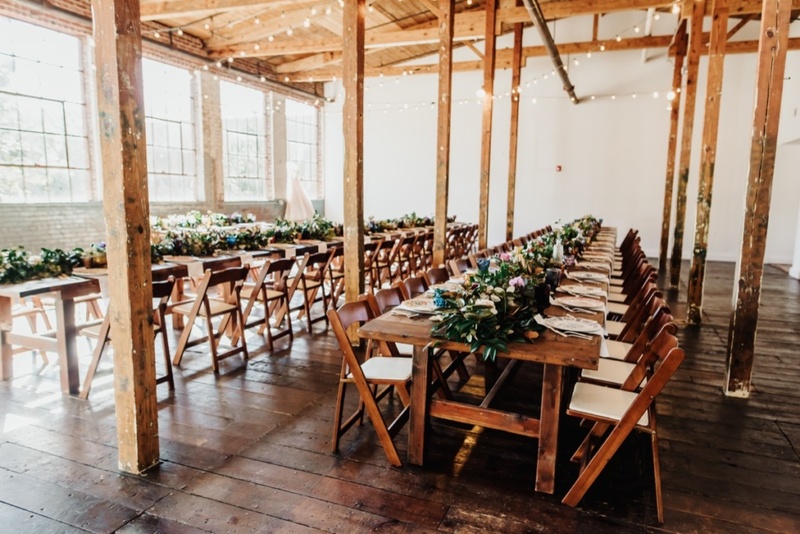 Melrose Knitting Mill provided the backdrop for a bridal portrait styled shoot as well as a coordinating tablescape. To see the bridal portrait photos, please visit photographer Tugba Tuncer’s gallery on her website. 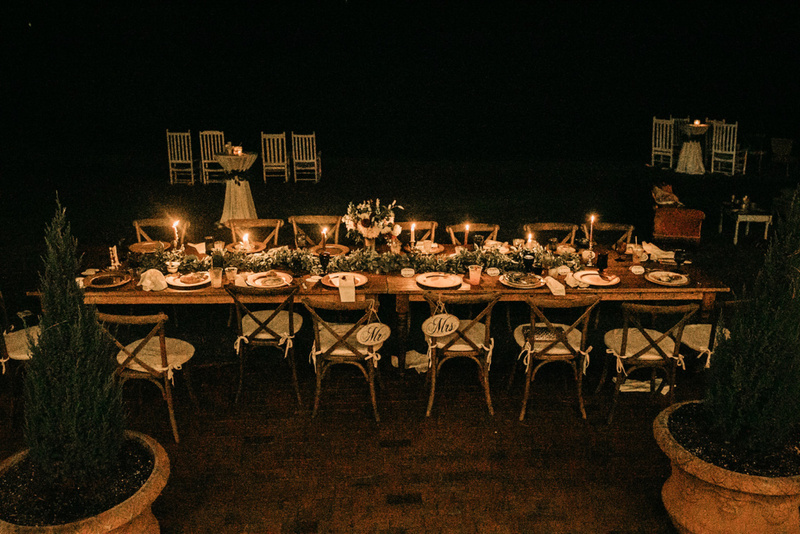 The series of photos featured here, also taken by Tugba, perfectly fit the look of a sophisticated winter season tablescape. 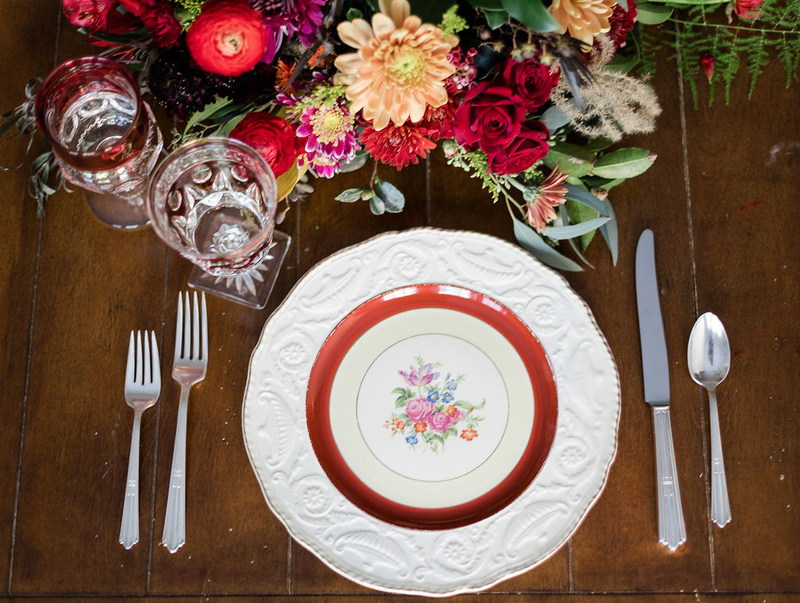 Twig and Tendril along with Fallon Flowers created beautiful florals to accompany our vintage place settings. And, finally, to all in NC, enjoy our beautiful snow today! If you dig vibrant jewels and gold (and who doesn’t, right? 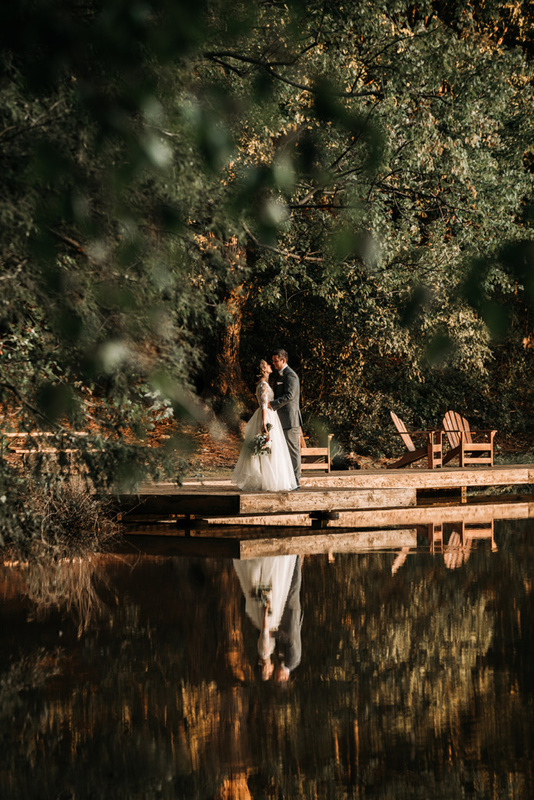 ), you are going to love these photos from Courtney and Lee’s intimate mountain wedding provided by Amaris Photography. 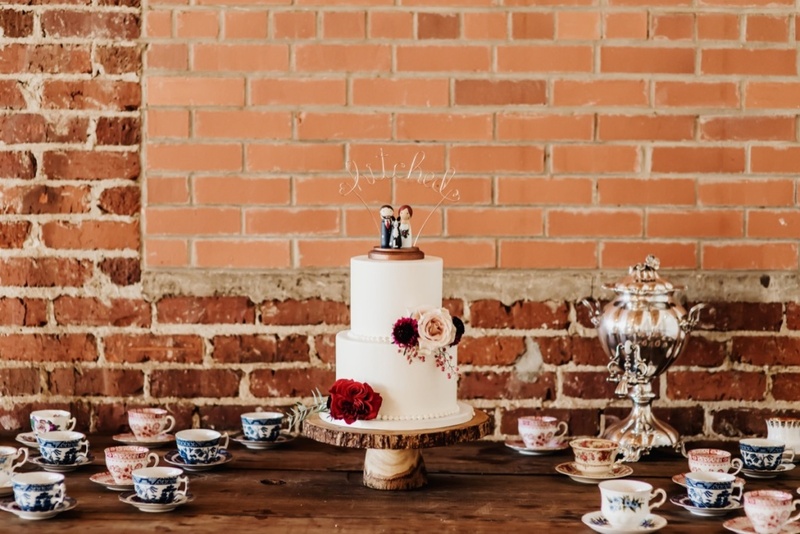 Their design, using our vintage gold rimmed plates, goblets, silverware, and teacups created this magical celebration of their love for one another! 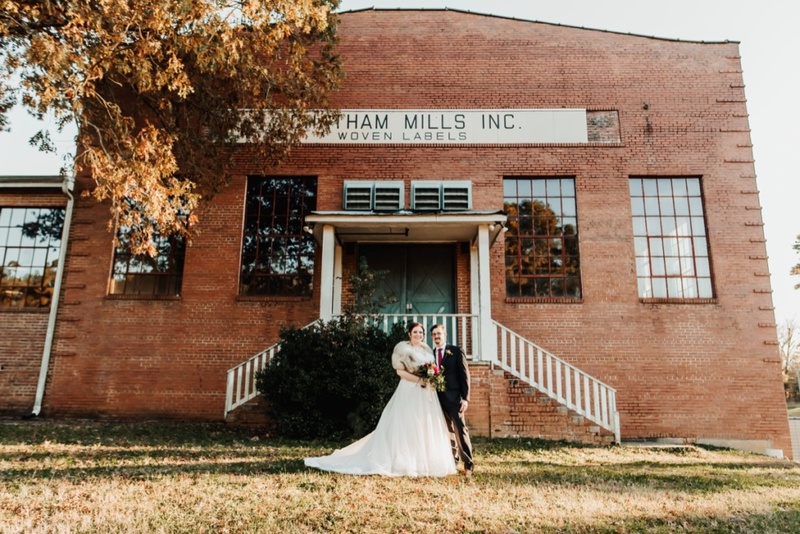 Courtney and Lee, we really enjoyed meeting you and helping with your wedding. Best wishes for years of love and happiness! 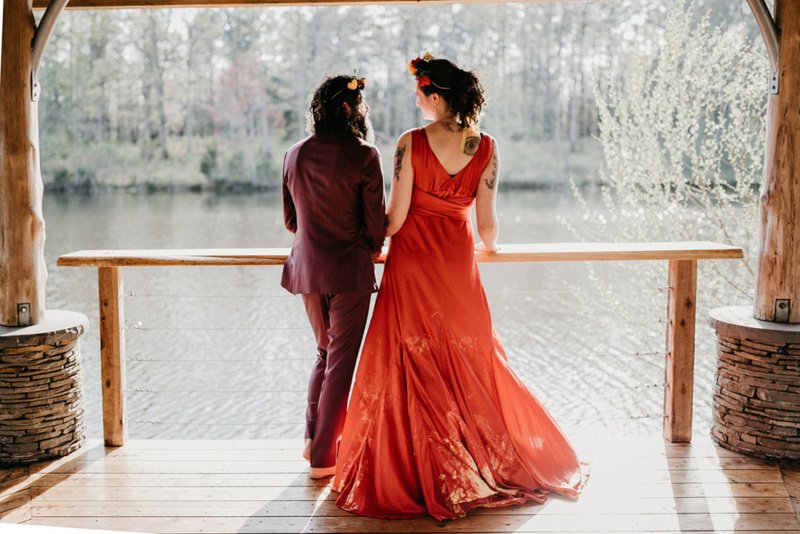 Also, thanks for sharing these dreamy photos from Amaris Photography! Thanksgiving 2018 for the Bass-Heath-Roberson families and friends was amazing! Fifty years ago the tradition began with our parents and grandparents who traveled far and near to share a homemade Thanksgiving feast. 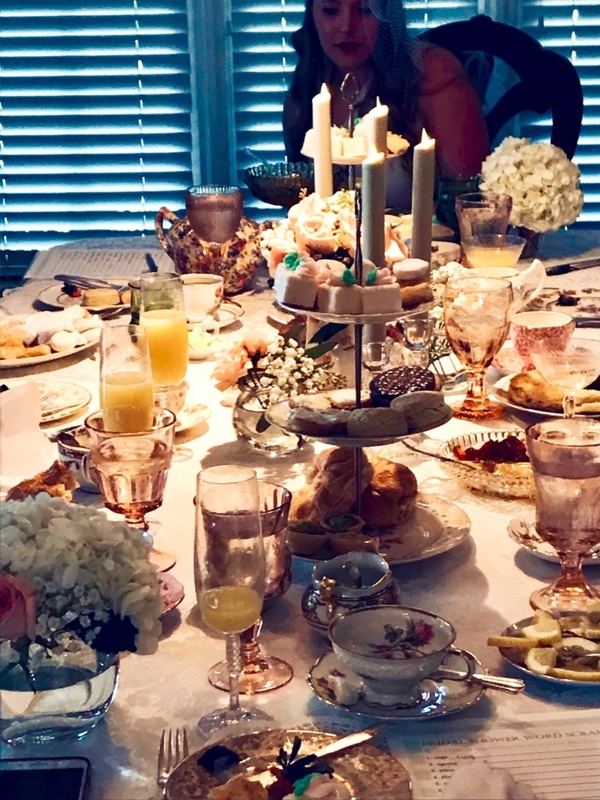 This time-honored ritual has become a favorite holiday celebration and we are grateful for the many memories this day has created for each of us. Honoring our chefs, past and present, was this year’s holiday theme. 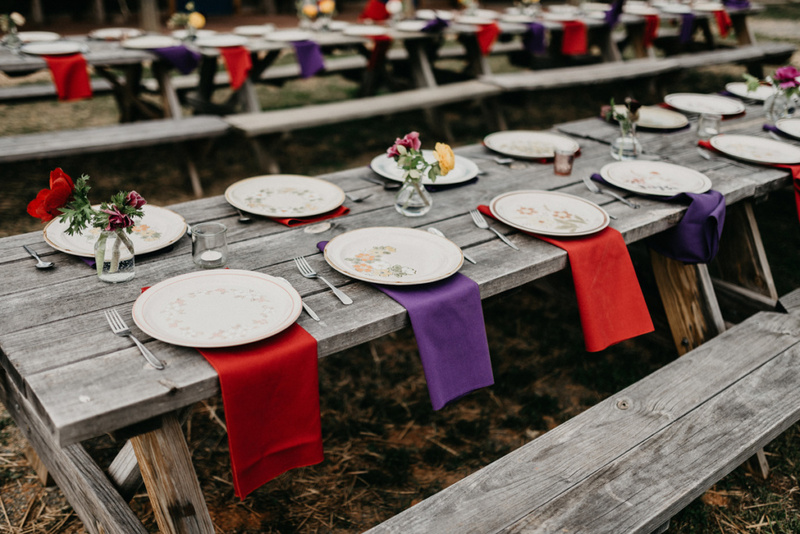 Along with our beautiful white stoneware plates, green, brown, and amber goblets, multicolored napkins, and bakelite flatware, we incorporated vintage kitchen decor down the guest tables. 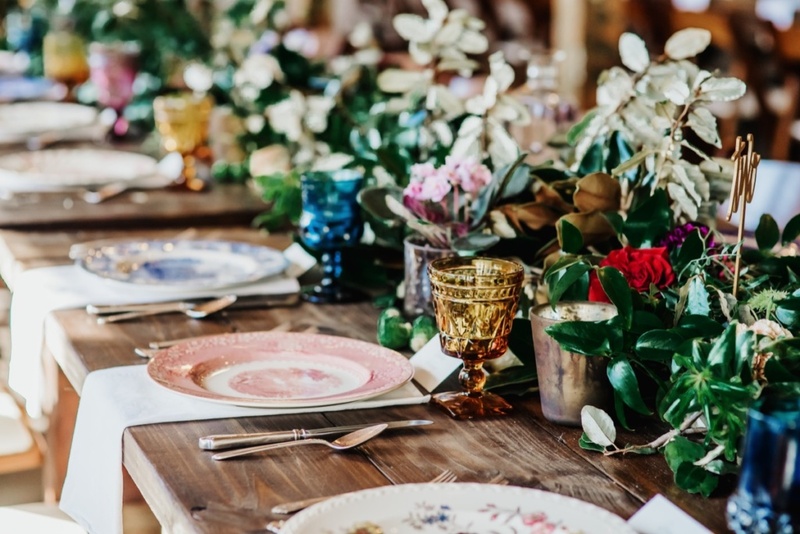 Vintage sifters, graters, egg cups, and kitchen tools transformed into vases, filled with foraged florals, berries, moss, and greenery. We’ll be back next year to do it all over again! 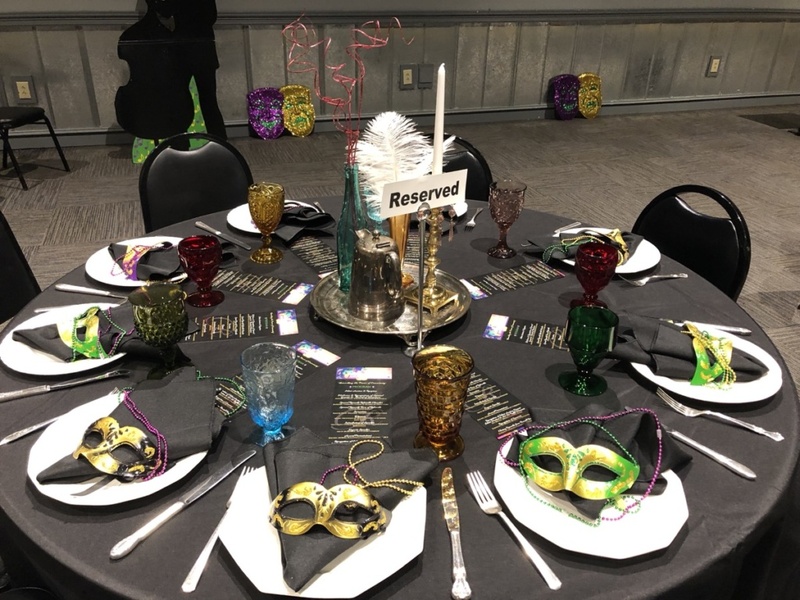 Many thanks to Sandy, Rowena, and Sherry for setting the tables and designing the centerpieces. Also, we salute the Rolesville Masonic Lodge for their many good deeds and for generously allowing us to use their meeting hall for our family gathering. 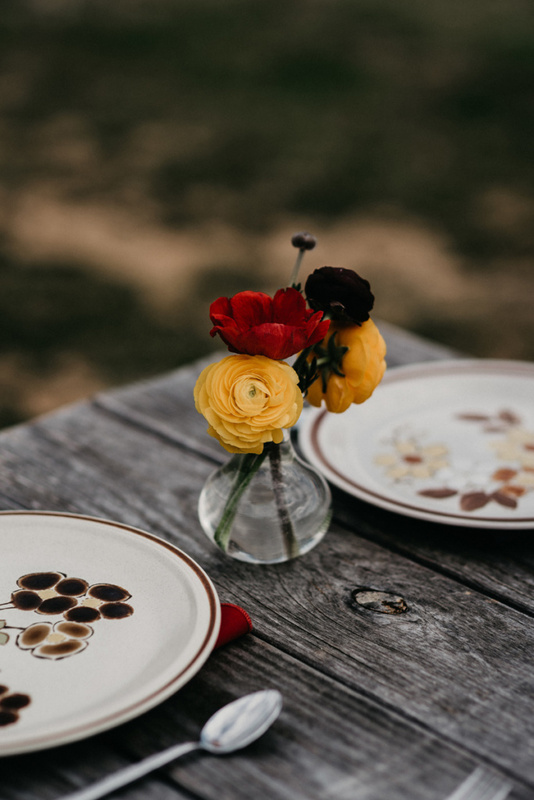 Our favorite holiday is this week – Thanksgiving! 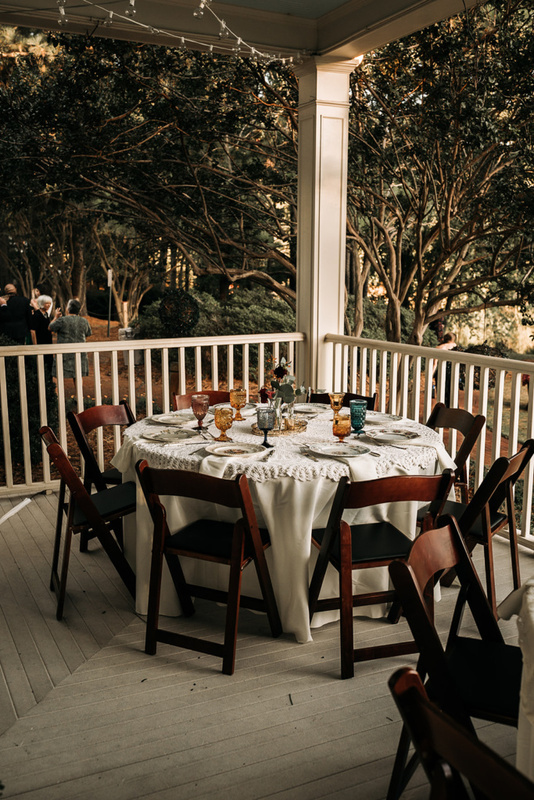 For more than 50 years, the Bass/Heath/Roberson family has come together on this day to catch up with the extended family and share a traditional holiday meal with all the fixings – turkey, ham, collards, chicken & dumplings, dressing, and Sandy’s mashed potatoes, to name just a few. Just typing this makes me so hungry! 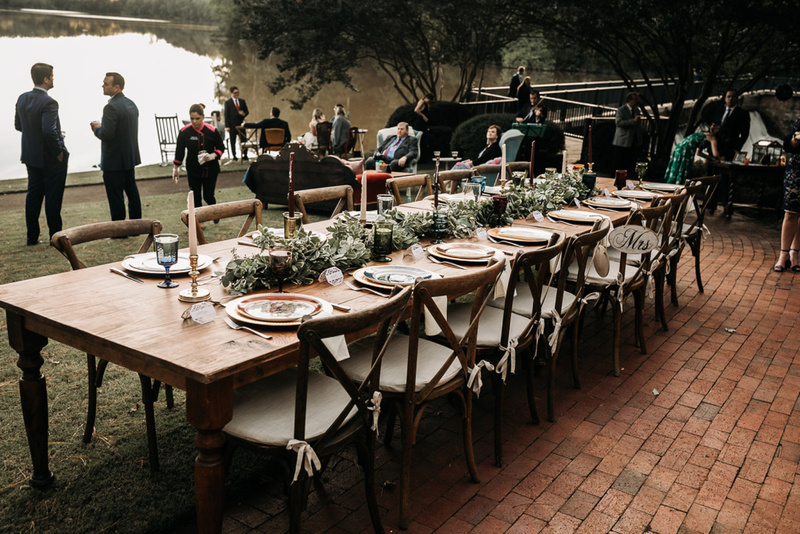 The past 5 years, Southern Vintage Table has set the tables for this special family gathering and this year our planning started with a duvet. Yep, a duvet made from a beautiful fabric that now has been transformed into 6 table runners. 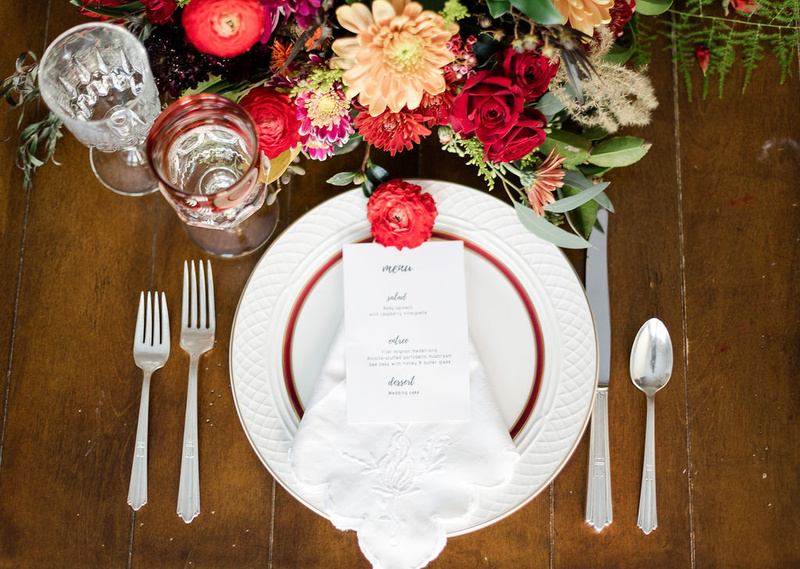 The rich colors will bring a gorgeous palette of oranges, greens, ambers, and blues to the tables. 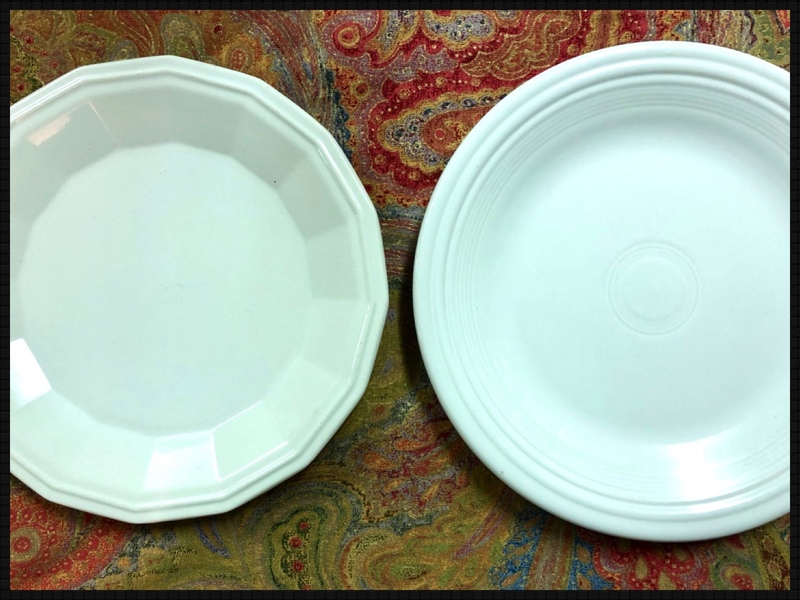 To complement the runners, our next decision for the place settings was easy – our white vintage stoneware. 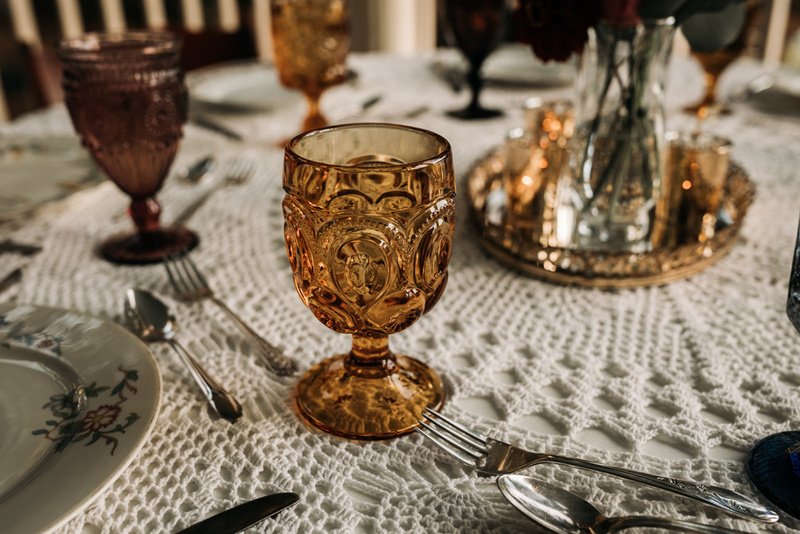 With the color scheme of brown, amber, and green, we will be adding a mismatched set of napkins, goblets, and bakelite/stainless flatware. 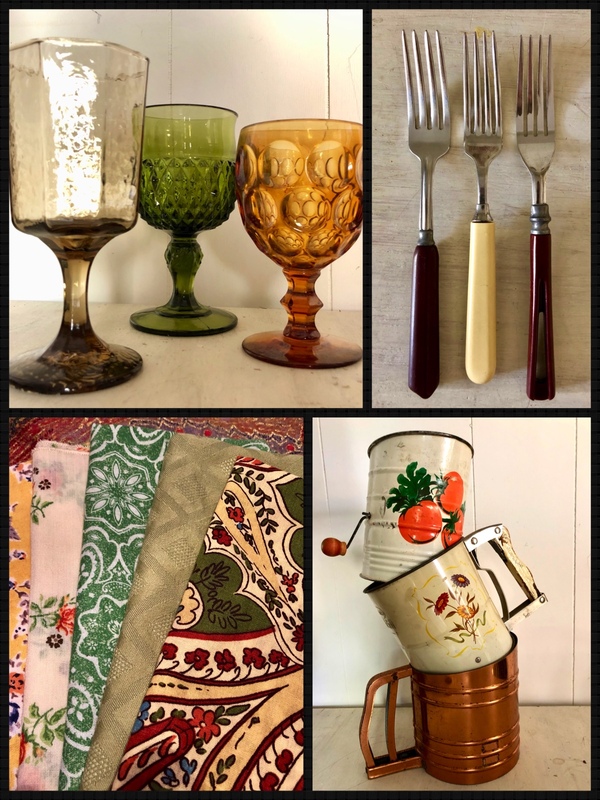 And, since this holiday is all about food, we’re hoping to incorporate our vintage kitchen decor on the tables. Can’t wait to see how it all works out! Sisters Janis, Sandy, and Rowena will be on hand to help make this memorable for our families, Looking forward to seeing how these pieces create a unique, fun look for this treasured holiday! Hope your Thanksgiving is wonderful and memorab!e, too!